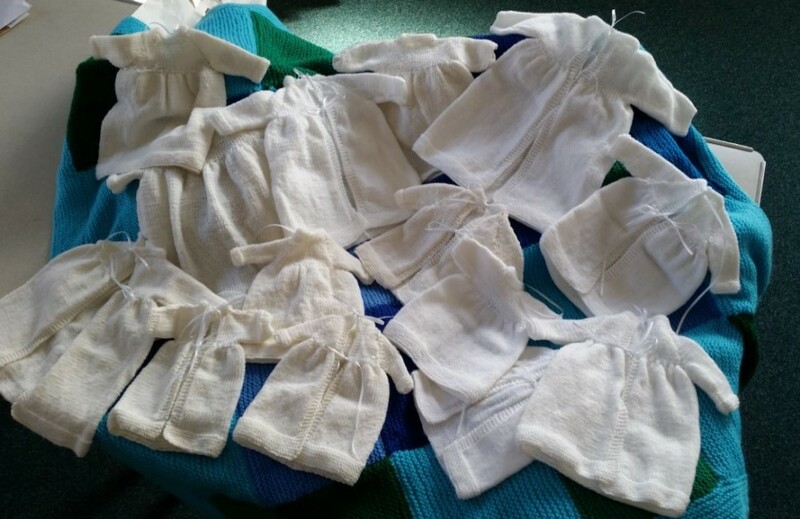 Angel Gowns knitted by the group. For more information click here. St Michael's Knit and Natter Group meet every Thursday in the Church Hall. Everyone is welcome - if you can't knit just come and natter. We would love to see you and you can alway just come for a cuppa. The Knit and Natter Disciples crafted by the Knit and Natter knitters.